Lice Lifters founded Michele Barack discovered her children had lice one fateful day, so she reacted how most parents these days would. She panicked, then took a trip to the local drugstore in an effort to find a lice treatment product worth the money. Unfortunately, the pesticide was actually as powerful as an outdoor bug spray. It was quite harmful to her children’s head – and the lice weren’t even killed off! Thus Lice Lifters was born. A way for ordinary individuals to rid themselves of a lice infestation without wasting money on useless treatments that are more harmful than helpful. Your children do not deserve the discomfort that head lice often bring. We have been through the entire process head lice removal process with our own children and have seen how uncomfortable and frustrating the process can be. At Lice Lifters Treatment Centers, we have learned over the years that the safest treatment solutions are also the most effective. Our products contain zero insecticides, are all-natural and non-toxic, and are built to rid your scalp of head lice with ease! Head lice cannot jump, and they cannot fly. They spread amongst the population via direct contact. Children are easily the most susceptible to head lice. On the playground or in the classroom, many children will come into close contact with each other. They share their hats and hair brushes, causing head lice to find a new home. Your best and sometimes the only option is to seek professional treatment. 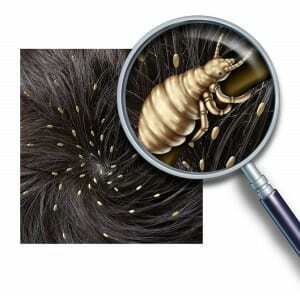 Lice Lifters Treatment Centers have dealt with our fair share of head lice infestations. We don’t panic though, because our expert team knows exactly how to eliminate head lice infestations! Before a head lice infestation worsens, seek treatment. We cannot recommend professional treatment enough. 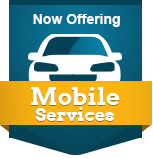 When it comes to lice treatment solutions in Grapevine, TX, Lice Lifters Treatment Centers have proven to be a valuable resource for parents. We treat head lice using safe, non-toxic treatment solutions that have proven effective. If you want a permanent solution to your head lice, you want Lice Lifters Treatment Centers. Over the years, we have developed a safe treatment process that includes a thorough head-check, comb-out, and safe, non-toxic lice treatment products in Grapevine, TX. Our method has worked wonders for every client. One treatment and you’re done! Nitpicking has long been considered a “good enough” treatment for lice infestations. Using a simple comb and tweezers to remove lice from someone’s scalp simply does not sound like a viable option these days. Lice can bury themselves in the hair, hiding from prying eyes and poking tweezer prongs. They will live on, reproducing exponentially and coming back in full force. The only surefire way to remove the lice for good is using an all-natural treatment option. Such a lice treatment in Grapevine, TX is available to all. If you or your family are experiencing a particularly nasty bout of head lice, give us a call to schedule an appointment today. We can remove your head lice problem in one session!